Click the image to sign up for this beauty supplies sampler! Do you like to look beautiful but you don’t want to break the bank paying for beauty supplies? Look no further, we have found a cosmetic sample pack you can get for free! 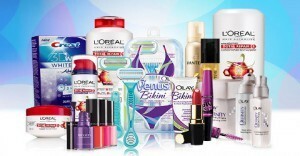 Stop spending money on beauty supplies and sign up for this great sampler of beauty products today! Simply click on the image or click on this link to sign up! 11 Comments on "Free Beauty Samples"
Yes I would love to have freebies please and thank you. ….. I want freebie samples and coupons sent to my home please. I would love to receive sample packs to try and review (safe&non-animal tested &known products),but Please no surveys if possible! Divorced full time Mom with two kids with special needs! On low income trying to find honest ways to save money for my kids and me! And at the same time enjoy life’s moments as they come! No problem! I don’t send the samples myself, I just find them on the internet and post them here, you have to click the links to the free samples offers and fill out your info, hope this helps! I would love free samples. I would love free samples. Thank you.